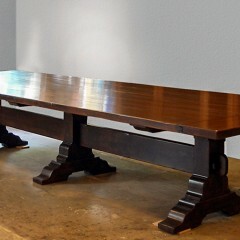 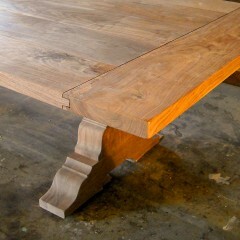 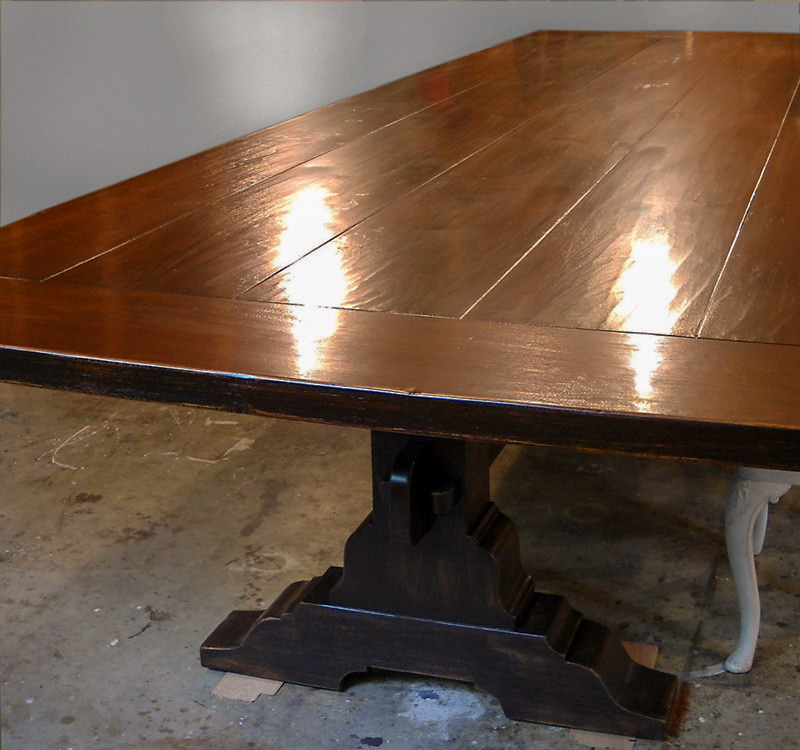 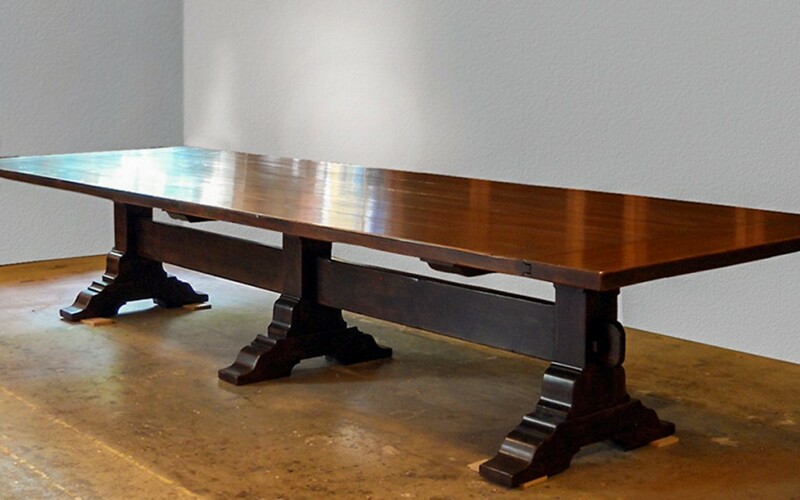 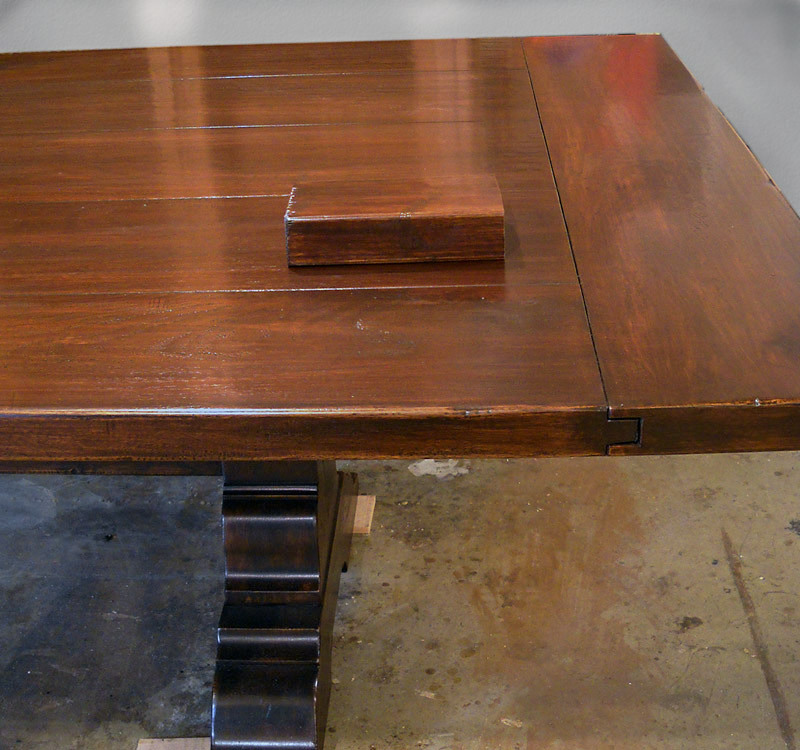 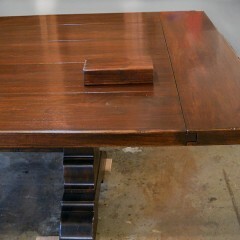 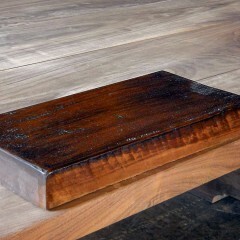 Dining table in solid walnut large enough to to seat 12. 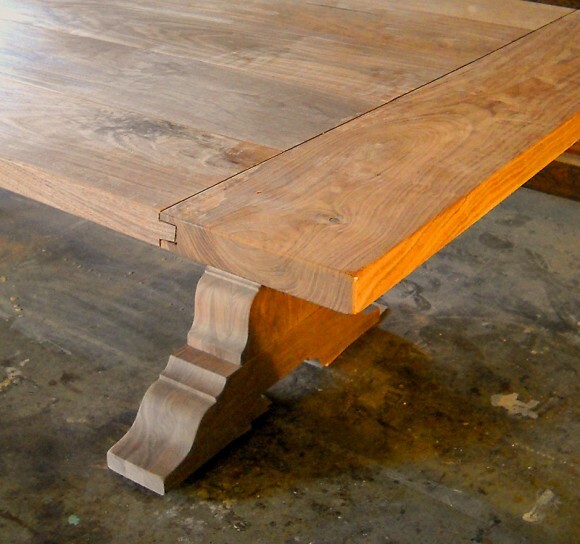 Trestle base and 2″ thick, hand-planed, walnut top with breadboard ends. Designed and finished to client specifications, our cabinetmaker had to travel across several states to find the perfect walnut boards for this piece.